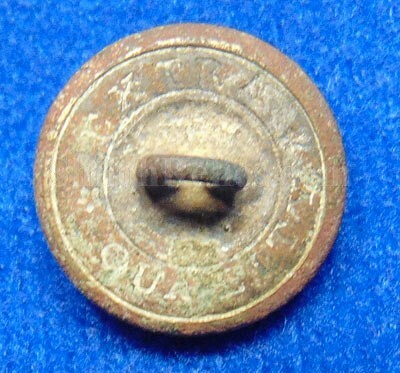 This is a very fine cuff size Civil War staff officer button. The face has the eagle with the stars around her. 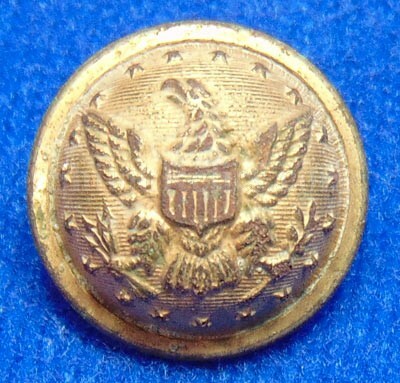 The face of the button has a good bit of the gold gilt intact and has a fine look. The original back and shank are present with the correct Civil War "EXTRA QUALITY” backmark. 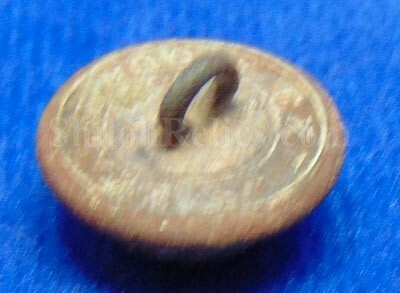 This is a fine authentic the Civil War staff officer button. This artifact was found in North Alabama. It will enhance any Civil War artifact collection.